Everyone loves Christmas lights, right? Ok, almost everyone. But we sure do, and so do you, or you wouldn’t be here! Outdoor Christmas decorating may get a lot fo the hype, but indoors counts too. We wanted to show you some creative Christmas light ideas to use in your home that are a bit different from the usual everyday ideas. 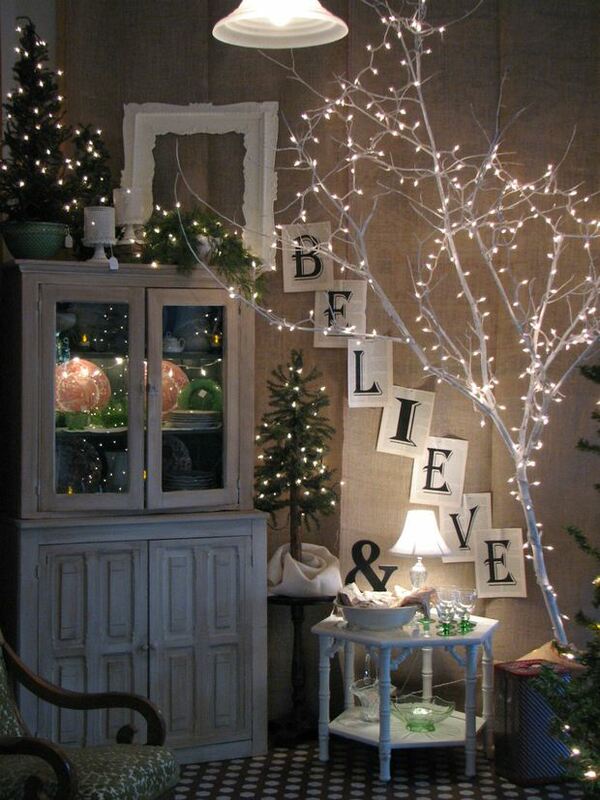 Here is some great indoor Christmas lighting that anyone can do! What lights up the holiday season more than…well, lights? 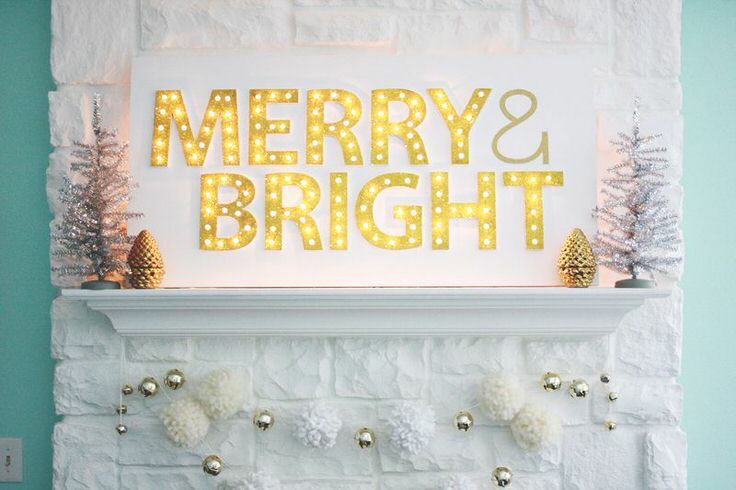 A drill, some inexpensive craft supplies and some indoor Christmas lights created this amazing Marquee sign! From ‘A Beautiful Mess‘, this project is much easier than it looks. HAVE to make one of these this year! 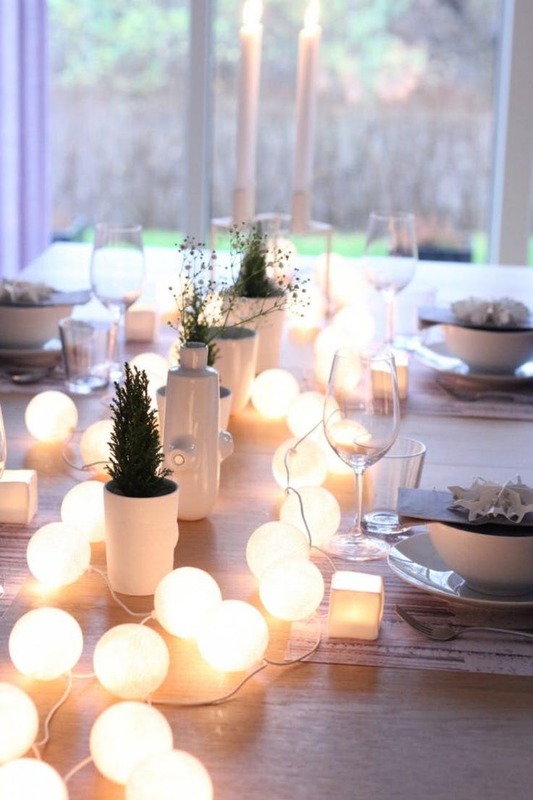 From ‘Brit + Co.‘, this Christmas light idea is so easy, all you have to do it string ball type lights across a table instead of candles! Great idea, especially for families with kids. Keep in mind, you will want to tape the cord to the leg of the table and the floor to prevent anyone from tripping on it! 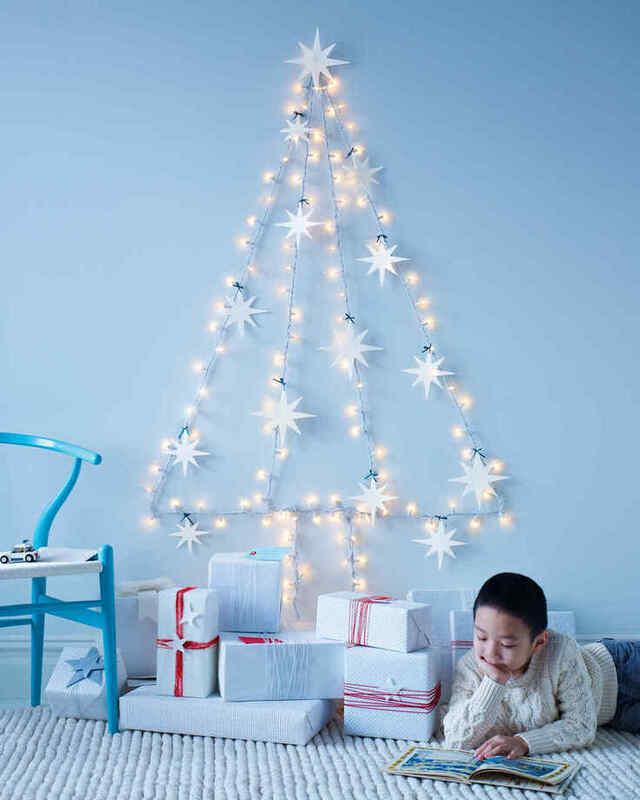 From ‘Martha‘, make this indoor Christmas light tree complete with felt star ornaments! I always love having trees in every room, and this is a great way to do that without the cost (and trouble) of buying multiple Christmas trees. Remember you can use lights in unexpected ways. 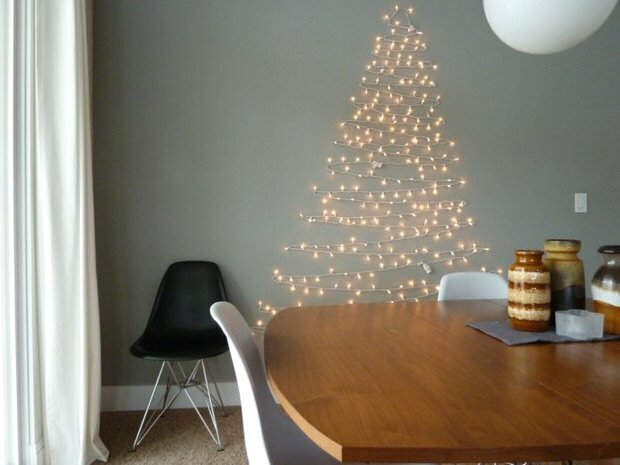 This small home didn’t have room for a tree, so they created one with indoor string lights and tiny brad tacks. 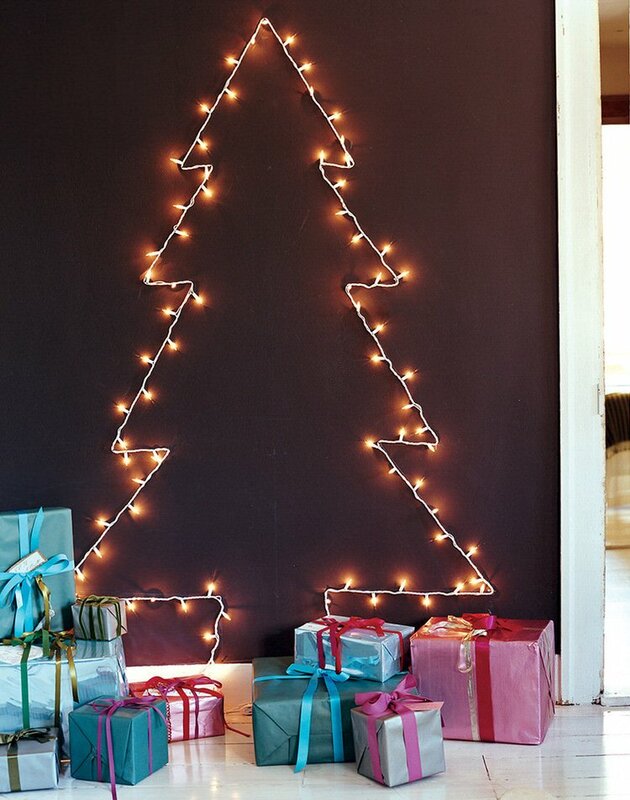 Be sure to use LED string lighting for this Christmas light idea! Photo from ‘A Merry Mishap‘. From ‘Domino‘ magazine, these indoor Christmas lights created a Christmas tree by stretching holiday lights between hooks, or even push pins. Create your plan on paper first, then place pins at each right angle. 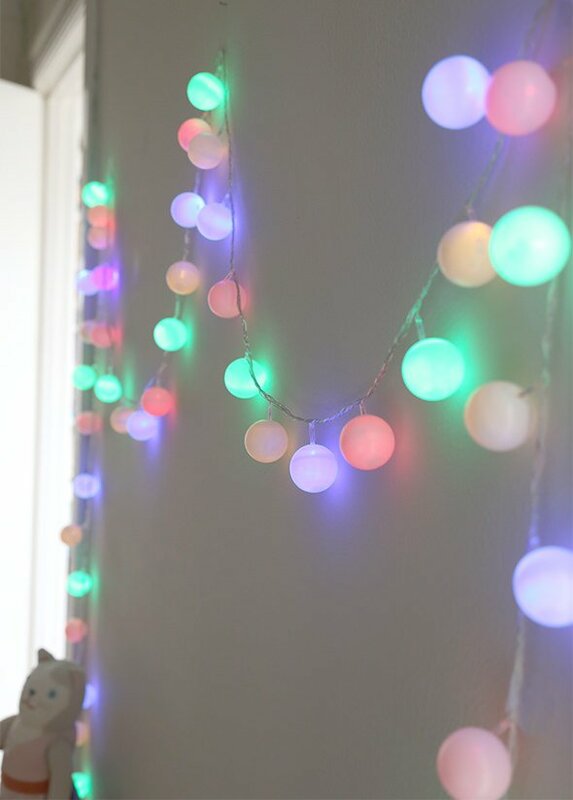 This Christmas light idea doesn’t require you to hang a thing! Make twinkling vases from ‘Martha‘… easy to follow tutorial. 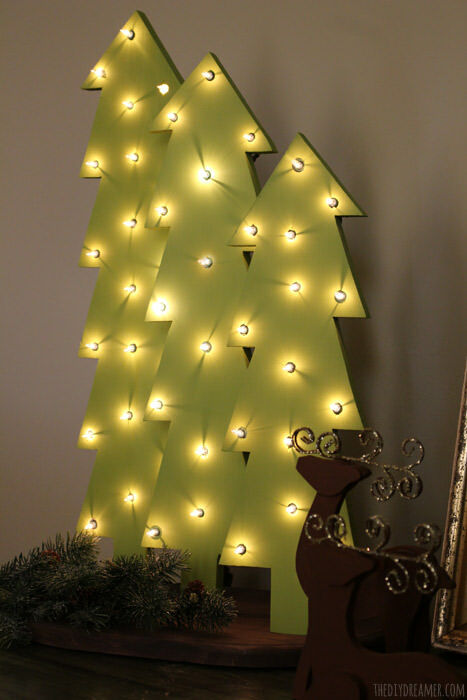 From Christine at ‘The DIY Dreamer‘, these wooden Christmas trees are lighted with Christmas string lights. Use led lights and you wouldn’t even have to replace the light strings for a long, long time… My kind of project! This idea of using tree branches wrapped with lights could transform a ho-hum indoor Christmas lighting scheme. Great idea from ‘Old City Hall Shops‘. This Christmas ball luminary from ‘Mango Juiced‘ will brighten up any holiday table or mantel. 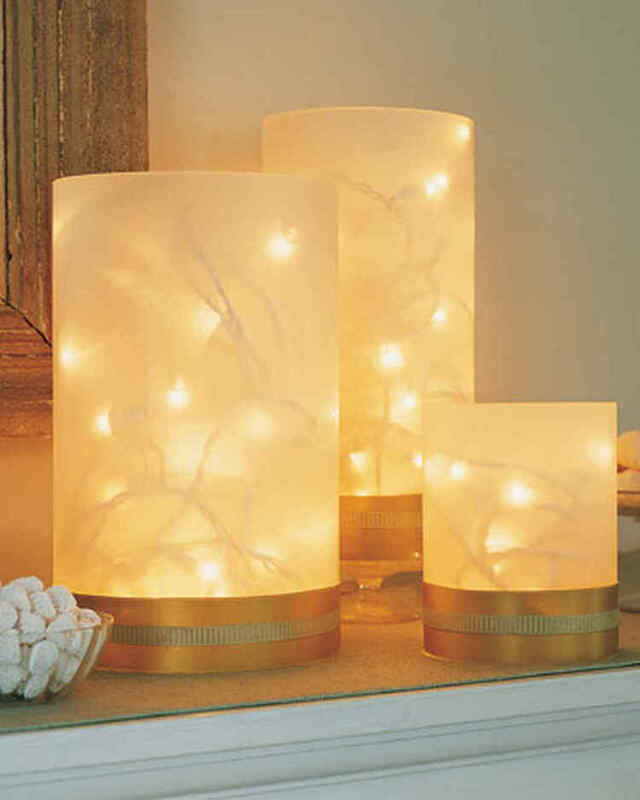 Pretty and inexpensive indoor Christmas lighting idea. From the ‘Free People‘ blog, this DIY alternative Christmas tree would be perfect for that minimalist, or just an added addition to any coastal or nature themed holiday. Love! 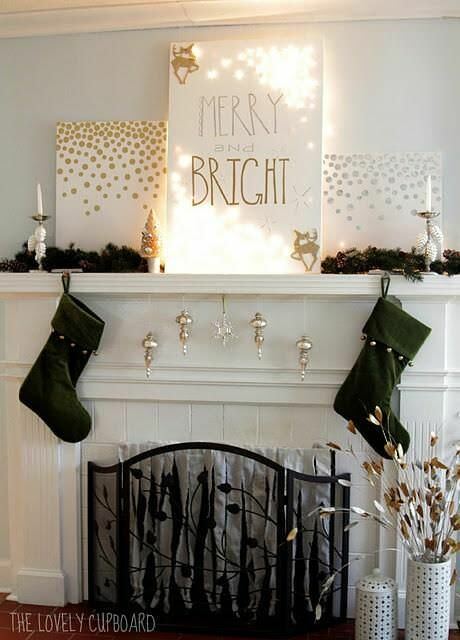 Last we have a merry and bright mantel Christmas light idea from Heather at ‘Decor Fix‘. These are just canvases she painted with happy holiday words, then she added white string lights to the back of the canvas. Pretty and simple! We hope you enjoyed our post on Indoor Christmas Light Ideas! Happy Christmas Crafting!